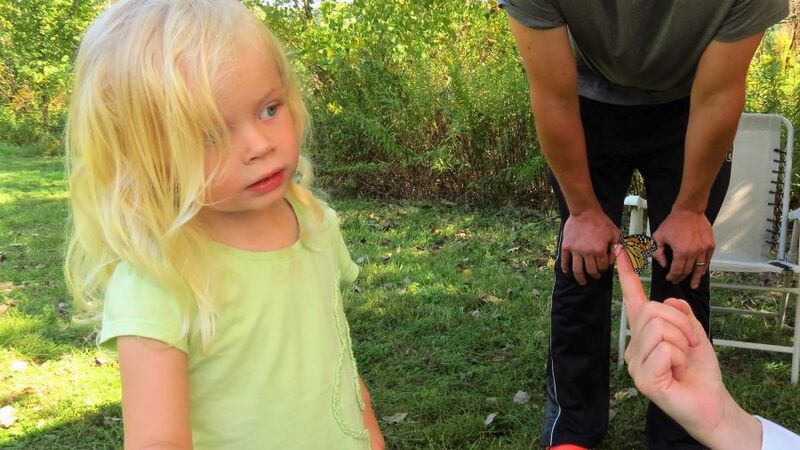 A young naturalist observes a newly emerged monarch butterfly. 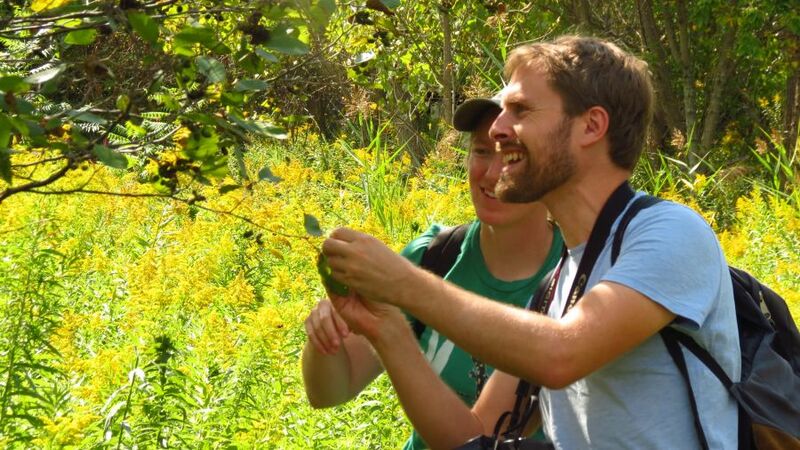 Over an intensive 24 hours in September, science specialists from around the Berkshires, along with interested laypeople, volunteered their time to scour BNRC’s Thomas and Palmer Brook Reserve to document as many species of plants, animals, and fungi as possible. This “Berkshire Bioblitz,” organized annually by the Berkshire Environmental Action Team and the science education based non-profit, Dr. Augie’s, serves to identify, count, and observe the diversity of species in one location. BNRC hosted this year’s biological inventory on its Thomas and Palmer Brook Reserve close to downtown Great Barrington. This beautiful expanse of fields and wetlands (on Rt. 23, across from Koi restaurant) was acquired in 2015 with help from BNRC donors and the Massachusetts Subcouncil of the Housatonic River Trustee Council. 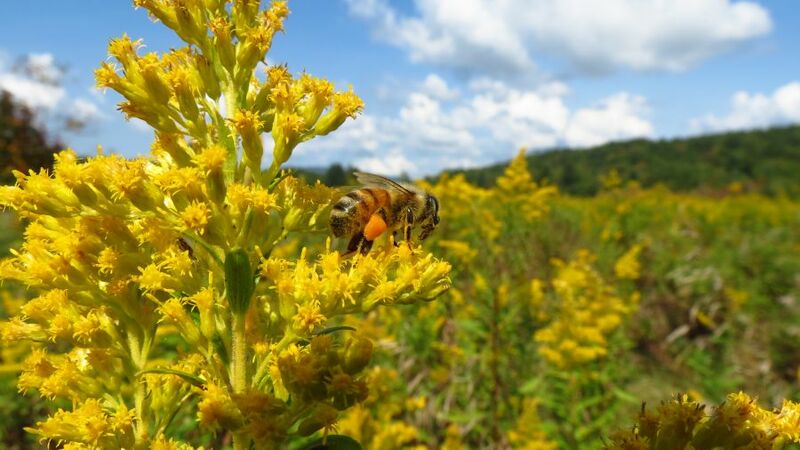 A honeybee fills up its pollen basket. 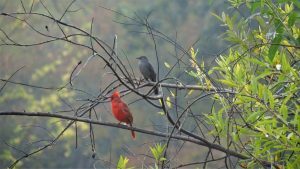 Habitat fragmentation and degradation has led to a worldwide decline in many species—some to the point of extinction. Dwarf scouring-rush (Equisteum scirpoides), a Species of Special Concern under the Massachusetts Endangered Species Act, was found on the property during the Bioblitz. Your support protects this and other habitats to help maintain ecological diversity in the Berkshires. Imagine what would have happened to the myriad of species identified on this site if houses were erected alongside Thomas and Palmer Brook as once proposed! Field botanists Charley Eiseman and Julia Blyth take a close look at a specimen. The data collected at the 2017 Berkshire Bioblitz will establish a baseline from which to measure change over time in species composition, and help ensure best management of the land in the future. 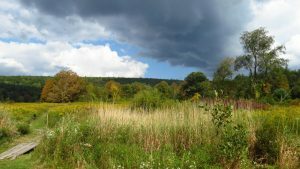 Plans are in the works to give you better access to Thomas and Palmer Brook in 2018, thanks to funding from Great Barrington’s Community Preservation Funds. Thomas and Palmer Brook Reserve. 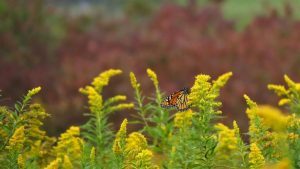 A monarch butterfly rests on goldenrod. 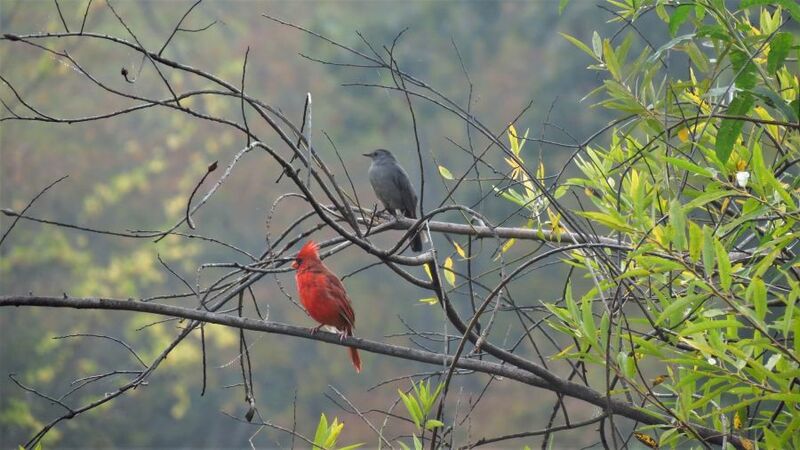 A Northern Cardinal and Gray Catbird.